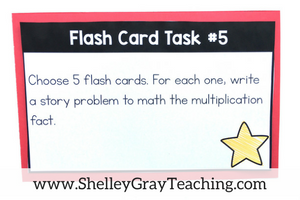 Looking for a way to take that old set of multiplication facts flash cards and make them new again? 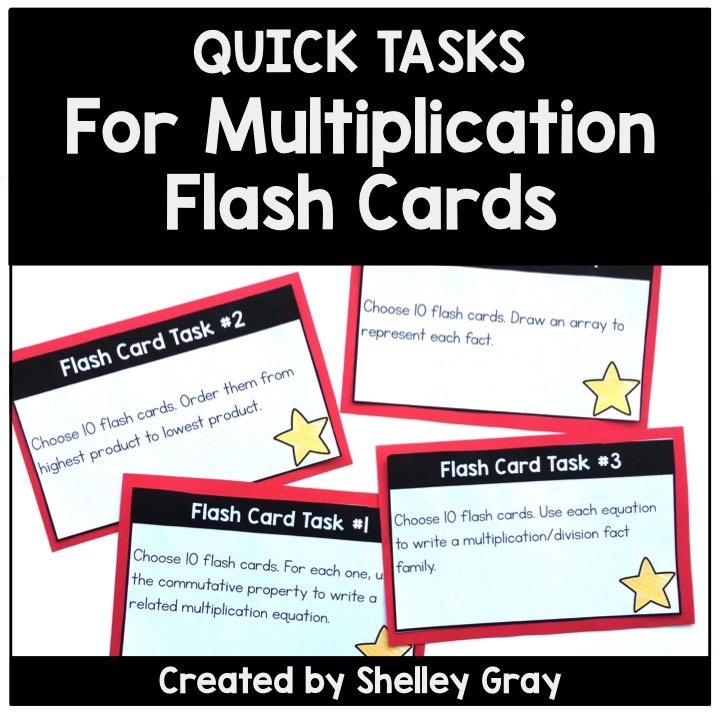 Here are 8 simple tasks that your students can perform with a set of multiplication task cards. 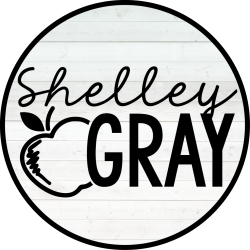 Free printables are included! 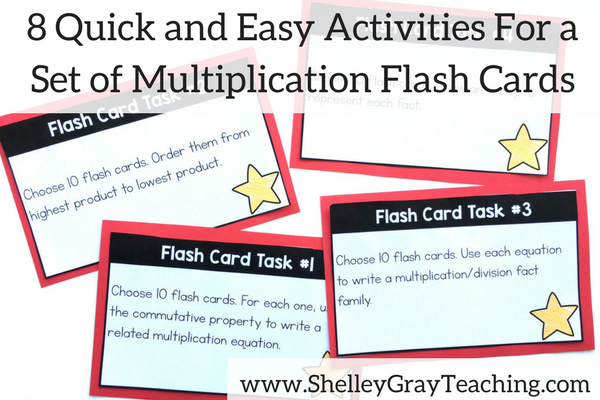 Don’t have a set of Multiplication Flashcards yet? Grab a set here! 1. 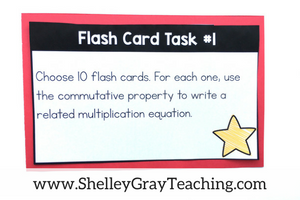 Reinforce the commutative property by having students write a related multiplication fact for each flashcard. 2. 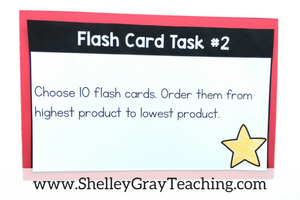 Order the flashcards from highest to lowest product, or vice versa. 3. 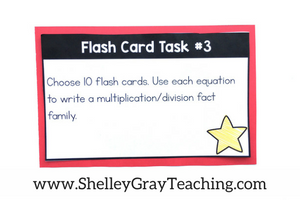 Use each multiplication fact to write a multiplication/division fact family. 4. 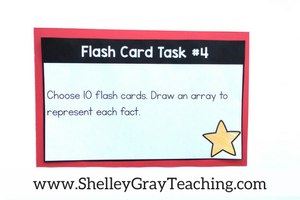 Draw an array to represent each multiplication fact. 5. Write a story problem for each multiplication equation. 7. 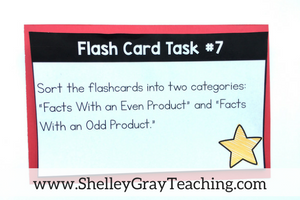 Sort the flashcards into even and odd products. 8. Represent each multiplication equation with a picture. 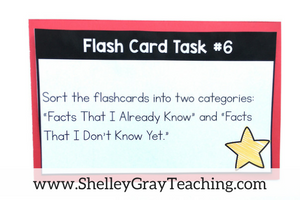 Grab these Flash Card Task Cards for FREE here! I mounted mine on colored paper before laminating for an extra pop of color. 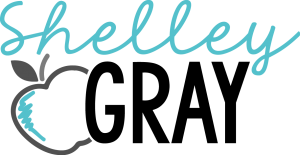 I would love to help you get really strategic with multiplication this year! 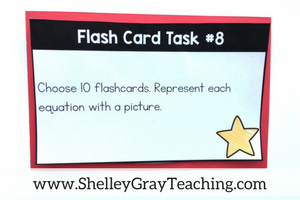 Whether it’s implementing a strategic order of teaching the facts that will result in maximum retention and confidence, or using mental math strategies that really work, let’s put a plan into action! 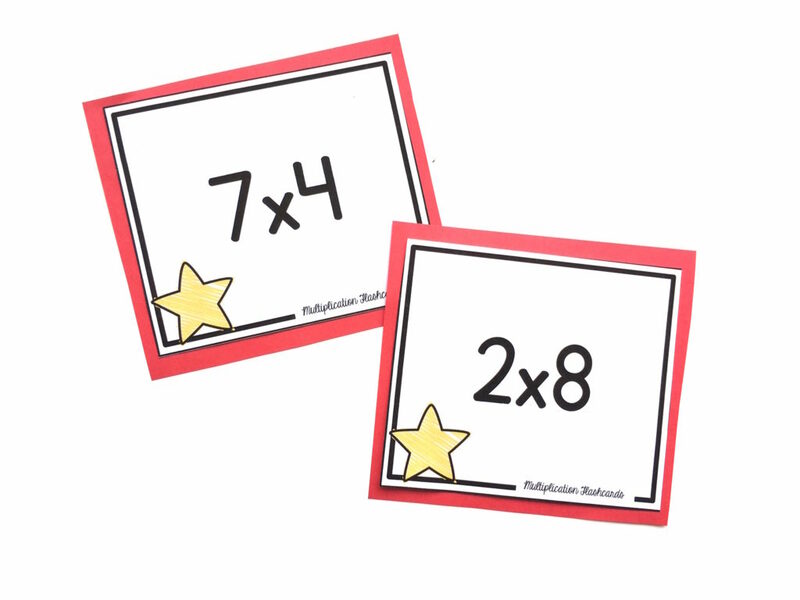 REGISTER HERE for a one-hour Multiplication and Division mini-course. You’ll leave with tons of new ideas, free resources, a PD Certificate, and more!